Egyptian DJ duo, Aly & Fila have been busy touring the world spreading EDM through their fresh mixes, and although they come off as a duo, only Fila goes on tour now as Aly has to avoid loud music due to an ear injury. Singapore but according to several social media posts and videos circulating online, the DJ would not be returning to the famous nightclub. Fila's set at Zouk Singapore was cut short to make way for another ‘DJ’. 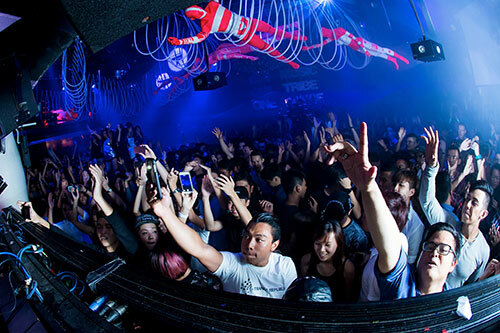 The Singaporean crowd enjoying DJ Fila during his set. The DJ was allegedly the son of a prominent Malaysian politician who used his influence to cut short Aly & Fila's set for his own ‘showcase’. Audio heard from a video captured from the night gathers that Fila was not pleased with the arrangement and had a mini rant for the crowd before playing his last track. "It seems that Zouk here wants someone else to play. Not only because of that, because apparently he's the son of a Prime Minister. Thank you so much, enjoy my last track. I'll see you somewhere in the future. Not in Zouk anymore! Because I won't play in Zouk any-f***ing-more, they've insulted me, but I love you guys." 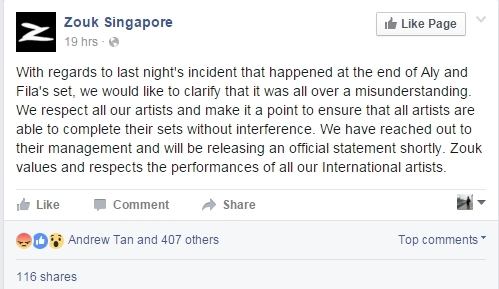 Zouk Singapore has not confirmed the details of the incident; however they posted this message on their Facebook page to address the ‘misunderstanding’. 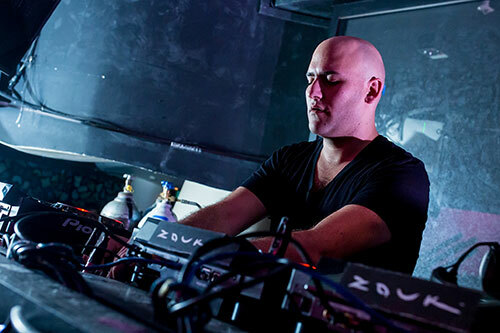 Aly & Fila are currently ranked at #42 on DJ Mag's top 100 DJs since last year and will be headed to Australia to perform a few shows.